This week, I’m adding a new blog circle to the mix. Called On Our Plates, it is a monthly circle for food photography. I really enjoy good food photography, but I’ve never been very happy with my own attempts. The theme for this blog circle is fairly loose & open to interpretation, the only requirement is that each post be somehow food related. 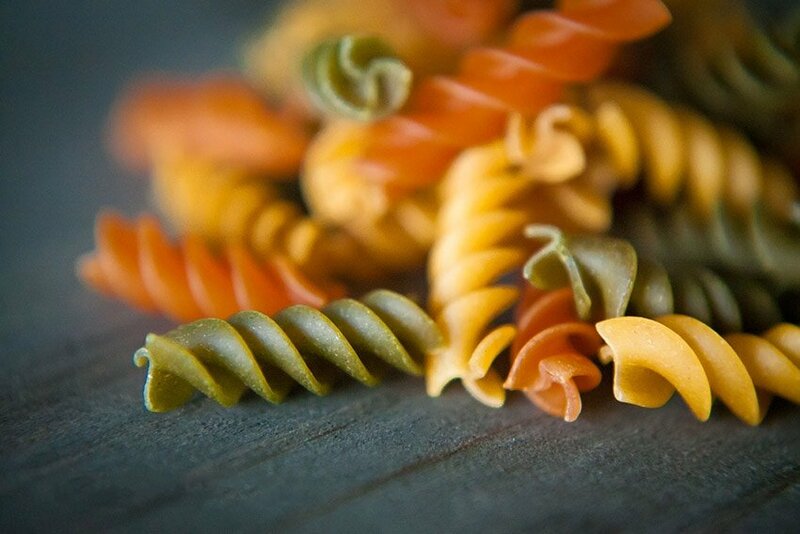 I am starting out with a fairly simple shot I did of some pasta. 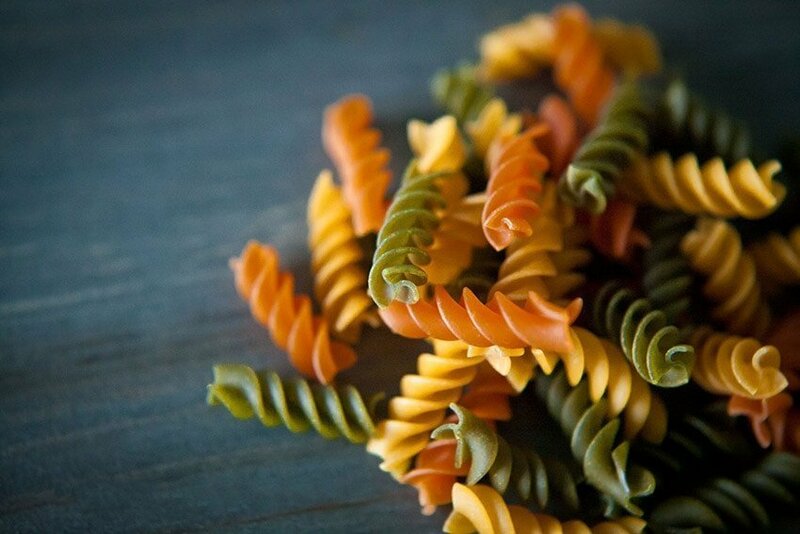 I love food shots with rustic backgrounds, & I thought this tri-color pasta that we were about to have for dinner would look nice against a weathered wood background. Since it has “vegetables” in it, I tell myself that it is healthier than plain old spaghetti, & since my kids will actually eat it without the wailing & gnashing of teeth that accompanies most of our non-pizza dinners, it has a place in our regular rotation. Hopefully, as my food photography improves, I will be able to build up to sharing recipes. Check back on the first Wednesday of each month to see what we’ve come up with! The next stop on this month’s circle is Karen Evonne’s Chicken Avocado Lime Soup. Go check it out and leave her some love! Thanks so much for stopping by. This is so pretty! I always feel better when I’m eating veggie pasta, too. It’s probably psychological, lol! love these. I like the dof you chose in the first one. nice shots. Oh those colours! So gorgeous! The colors are just beautiful! I love veggie pasta! These are really great. I love the nice, soft, directional window light. It shows all the texture of the pasta. I love the rustic colors you have here! Fantastic!